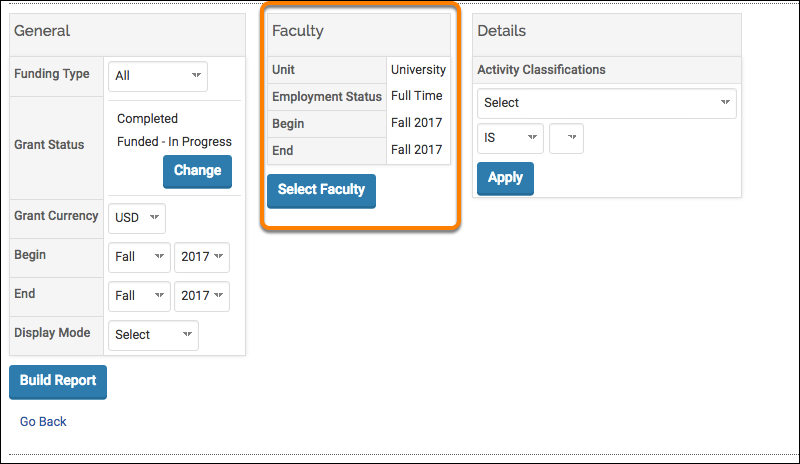 This Faculty180 tool is only available to users with sufficient privileges. If you do not have access to the grants report and believe you should have access to the tool, please contact your unit/institutional administrator. 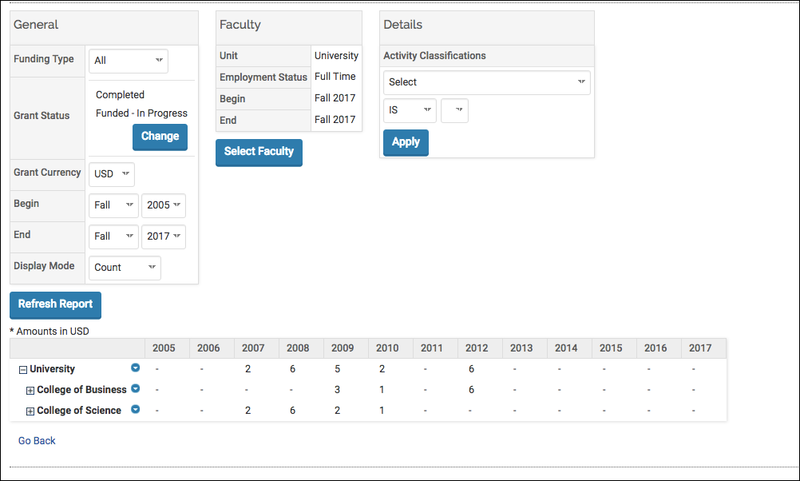 The grants report in Faculty180 pulls grants and funding data from faculty members' activity input form and allows users to quickly set their criteria and export reports it in easily dispensable formats. Select the the Admin section, and then click the Reports option. 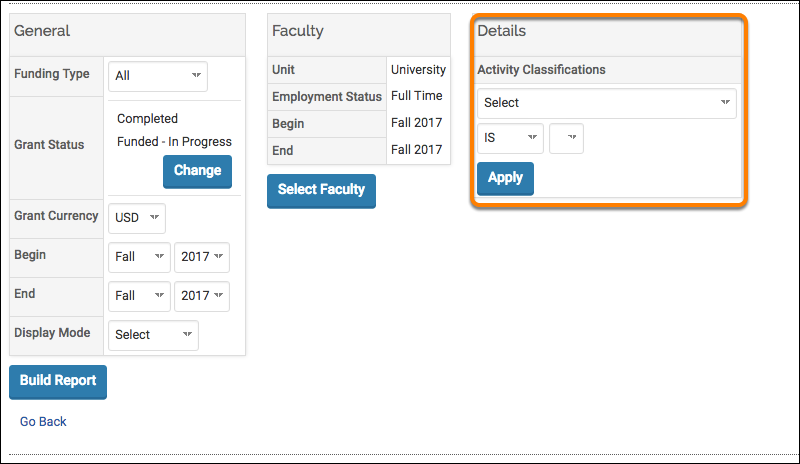 Select the Grants Report in the Activity Reports section. Begin and End: Choose the date range for the grant information that you want to pull. Display Mode: Allows you to display results in the following ways. For more information on the Faculty Select tool, view this article. When finished, select build report. After building a report you can dive into the data by year or unit. In this example, the grants report is being displayed as a count. We can see that the University had a total of 6 grants in 2012, specifically from the College of Business. 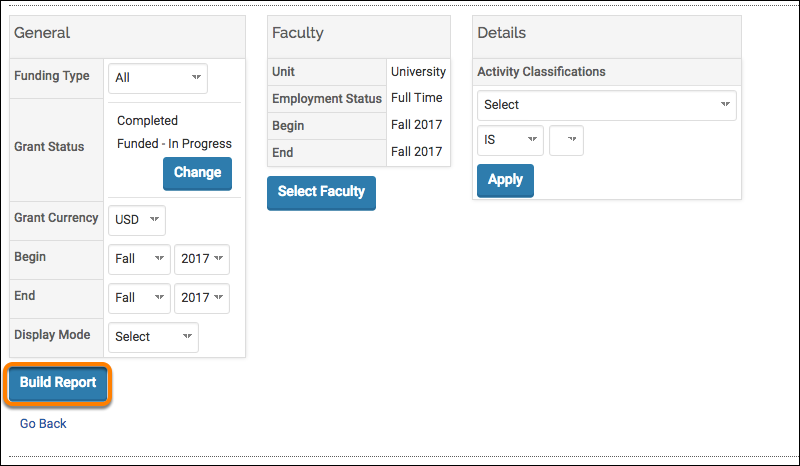 Selecting a faculty member's name will launch a vita of their information. 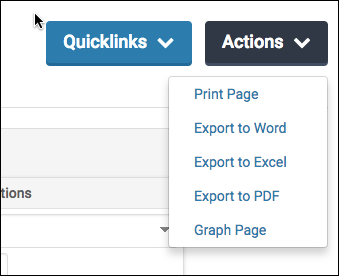 At the top of the page, you can preserve and share this report by exporting it or by adding it as a Quicklink.